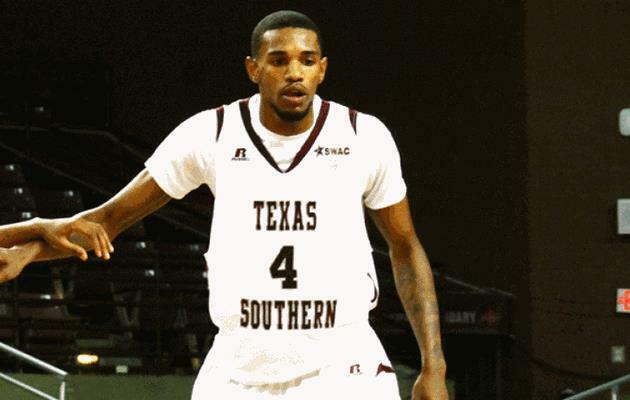 MONTGOMERY, AL – The Texas Southern Tigers basketball defeated Alabama State team tonight capturing the10th straight win for TSU. The victory moves Texas Southern into a two-way tie for first place in the Southwestern Athletic Conference and sets up a showdown for the regular season title on Thursday. After trailing by 10 at halftime the Hornets came out in the second half and outscored TSU 10-0 to even the score at 36 after a three point field goal five minutes into the half. Texas Southern led 38-37 with 14:13 left in the game and held ASU to scoring two points over the next eight minutes as the Tigers began to pull away. With 6:14 left in the game, TSU had pulled out to a 57-39 lead and subsequently closed the door on any chances of an Alabama State comeback. From there ASU would not get any closer as TSU went on to win the game by the final 20-point margin of victory. TSU had four players reach double digits led by Fred Sturdivant’s 22 points. Aaron Clayborn and Lawrence Danner-Johnson added 12 and Ray Penn had 10 points. TSU broke out on top in the first half scoring 19 of the game’s first 23 points led by Danner’s nine points and went on to lead 36-26 heading into halftime. TSU shot 48 percent in the first half compared to only 29 percent for the Hornets. In the first half of play Sturdivant led the Tigers with 12 points on six of eight shooting. He also had five blocked shots and seven rebounds. TSU shot 45 percent from the field for the game and hit seven three point field goals. They also outrebounded the Hornets 47-37 with Sturdivant’s game-high 13 leading the way. TSU held the Hornets to their second consecutive sub-par shooting game as ASU only shot 34 percent from the field for the game. Texas Southern will host the Southern Jaguars at the H&PE Arena on Thursday, February 28 at 8:30 pm. TSU will host its home finale on Saturday, March 2 against Alcorn State. Tip-off time for that contest is also slated for 8:00 pm. Saturday will also be Senior Night for the Tigers basketball program. Fred Sturdivant tallied six blocked shots against Alabama State. The Tigers had a total of four players score in double figures against Alabama State.